You are my hiding place. 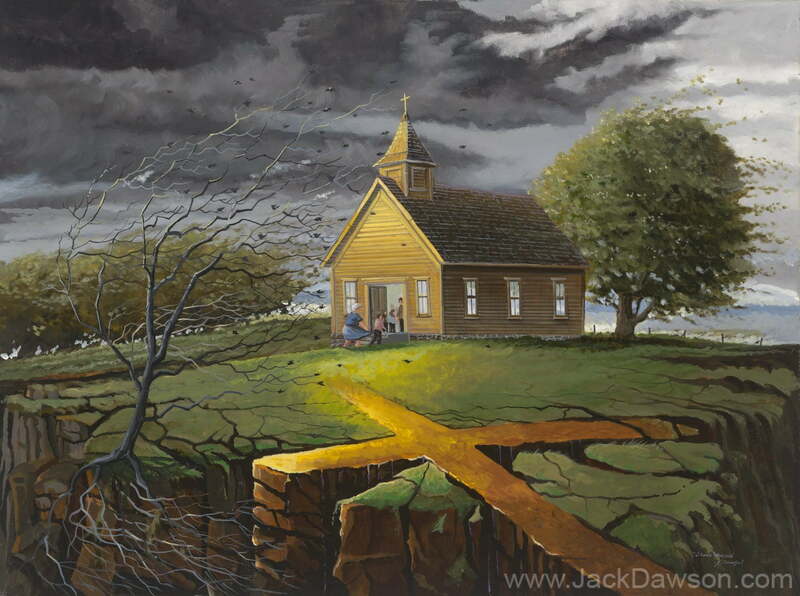 This painting was inspired by the story of a lady who stepped outside of a church building late in the evening to see an ominous storm cloud forming outside the town. As the sky grew darker and the storm grew more intense, she knew the only place they could go was back inside the church for safety. 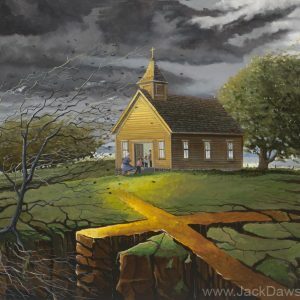 The pastor who shared this story thought it would be a good teaching, illustrating our spiritual refuge in times of storms. The storms that rage against our hearts, minds and spirits cause the greatest distress. Where do we go for refuge and security? Storm Warning is a reminder that through the Church God has given the good news of where to go for the refuge and security we seek. The unshakeable cross of Jesus is the only way to find peace. 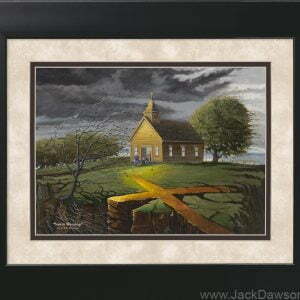 Though the church building and even the earth will perish, the old rugged cross will never fall. The storm warning has been issued. We are invited by those who preach and teach the Word to come inside the true Church for safety and the promise of eternal life. Will you come?